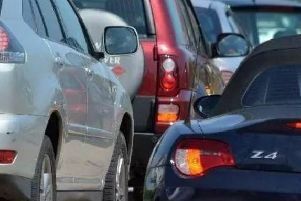 A crash involving two lorries and three cars is causing long delays on the A1 near Peterborough this afternoon, Frdiay. The northbound carriageway has one lane closed close to the A47 junction at Wansford following the crash, which took place at 3.26pm. No injuries are reported but traffics is queuing back to Oundle Road, the Chesterton turning.